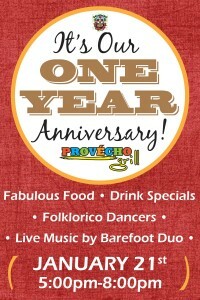 Provecho Grill, Menifee’s favorite Mexican restaurant, celebrates it’s one year anniversary this month! Join Provecho for an evening of fabulous food, drink specials, Folklorico dancers, and live music by Barefoot Duo on January 21st from 5pm-8pm. Provecho popular plates include their seafood fajitas and The Matador, their amazing breakfast torta. We hope to see you at Menifee’s favorite Mexican restaurant soon! Happy New Year from Audie Murphy Ranch in Menifee! With the holiday season behind us (and all of the great holiday parties, cookies, cakes, and delicious meals it entails), we are ready to start our New Year’s resolutions now with a new fitness regime. 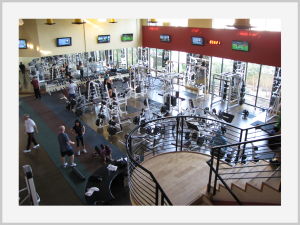 Thankfully, we have a great facility, right here in town, Menifee Fitness on Bradley road. This state-of-the art gym offers group classes , a pool, cardio center, extensive weight room, basketball court, steam rooms, and more. What is your New Year’s resolution?